TWENTY-FOUR-YEAR-OLD law student Anelisiwe Ndebele was on Saturday night crowned Miss Tourism Zimbabwe (MTZ) Bulawayo at a glitzy event held at the Rainbow Hotel. Anelisiwe beat 22 other models to the crown. 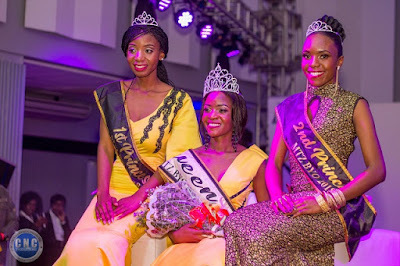 Former Miss Environment Sibusisiwe Falala was crowned first princess and Tendai Sibanda was second pricess. Miss Personality was Natasha Gora and Thelma Ncube was adjudged as the most promising model. The Bulawayo finale also saw veteran modelling instructor, Sarah Mpofu-Sibanda being celebrated for her role in the industry for the past 32 years. The who’s who of the modelling industry such as MTZ chairperson Sibusisiwe Dube-Muleya, reigning Miss Tourism Zimbabwe Ashley Morgen, former Miss Tourism Zimbabwe Samantha Tshuma, Mr Zimbabwe Shadel Nobel and Strides Modelling Agency founder Sipho Mazibuko among others attended the event. Judges on the day were former beauty queen Nokuthaba Manungo, businessman Felix Dzumbunu, former Miss Tourism Zimbabwe Lorraine Maphala-Phiri, former Miss Bulawayo and first princess Miss Zimbabwe Happiness Tshuma as well as businessman and model Mqalisi Nyathi. The judges, in coming up with the top models, looked at how they were walking on the ramp, their display of talent and IQ during the question and answer segment. MTZ Bulawayo licence holder Nobesuthu Masango said she was happy with the attendance. “The turnout took me by surprise. Everything went well and I’m very happy with the turnout. I didn’t think people would come in their numbers like this. “I’d like to thank all those who came through to support,” said Masango. The pageant was a stamp of approval for former Miss Tourism Zimbabwe, Samantha Tshuma as the top four models all graduated from her Open Eye Studio modelling agency. It was an eventful night as the models showed off their talents by honouring icons in the arts industry around the world which really entertained people.